Below are a few examples of live events I have mixed as a Front of House or Monitor Engineer. It is my philosophy in live sound engineering to not only create the best sounding environment for the performance, but to also assist the artist in any way so that they feel comfortable enough on stage to deliver the best show possible. 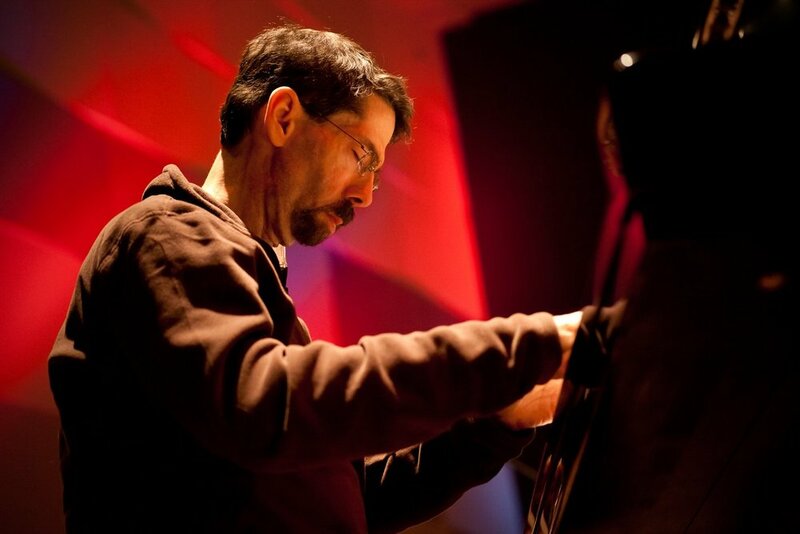 When legendary jazz pianist Fred Hersch performed in the TD Arena in Charleston, SC, I was asked to provide the front of house mix, and work with Mr. Hersch to develop a sound that turned the booming space of an arena into an intimate night club. 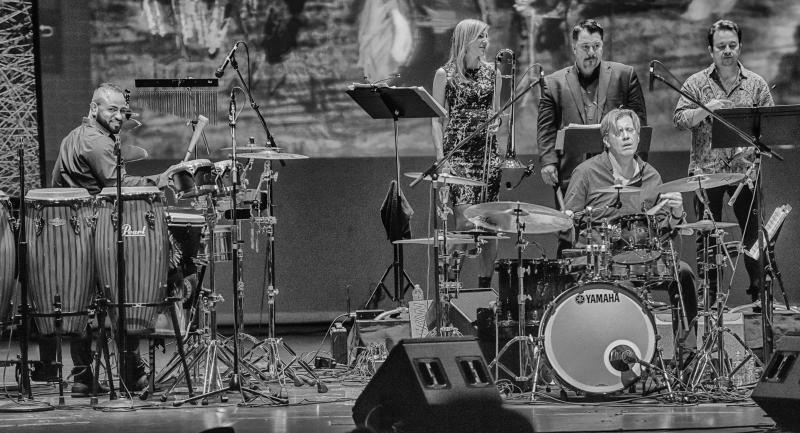 As Tommy Igoe and company came through The Brooks Center for the Performing Arts, I stepped in to mix monitors for the group, insuring the Allstars had everything they needed to get into the groove, feed off of one another musically, and provide an all around fantastic performance. While on his solo tour, world class pianist and bandleader Jon Batiste stopped by Charleston, SC in order to play a near sold out show at the outdoor venue, The Cistern Yard. During his stay I worked as a monitor mixing engineer to make sure Mr. Batiste had everything he needed onstage in order to connect with the music as well as the audience. When slack rock group Daddy's Beemer landed a show at the Music Farm they asked me to travel down to Charleston with them in order to mix FOH. Working with the band we created an incredible atmosphere that let each person in the group shine through the mix sonically, giving the audience a night they won't forget. When classical guitarist Javier Limón and company performed at The Brooks Center for the Performing Arts I worked with the group mixing FOH to provide a powerful experience of soulful flamenco music, as they swept the audience away with their Spanish roots. While working as a sound technician at Spoleto Festival USA 2017 I had the opportunity to work with the legendary saxophonist Charles Lloyd. Through mixing monitors at the Gaillard Center I provided Charles' quartet with the perfect sonic mood on stage that allowed them to deliver a stunning performance. As Production Director for WSBF FM Clemson, a student run radio station, I designed, built, and operated the sound system for our event, Valentunes. Through mixing FOH and monitors I ensured the lineup had the right support to create a fun and entertaining atmosphere for the audience. 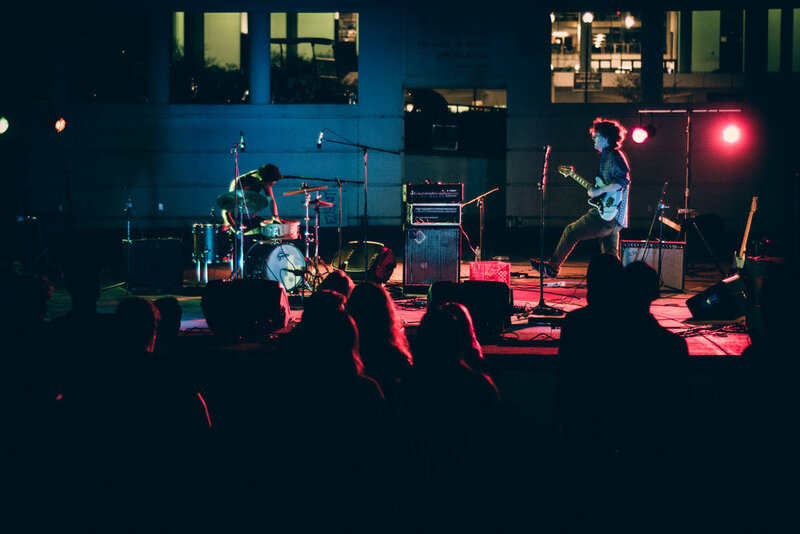 FallFest 2017 ft.Brave Baby / Dead Swells / Tom Angst / et al. As Production Director for WSBF FM Clemson, a student run radio station, I designed, built, and operated the sound system for our outdoor festival, FallFest. With running FOH and mixing monitors I provided the sound reinforcement needed in order to create the show the artists had envisioned. As Production Director for WSBF FM Clemson, a student run radio station, I designed, built, and operated the sound system for our spring time show, BackStreets-to-the-Future. I worked with several artists that evening to produce the best rock and roll show a bar has ever seen.